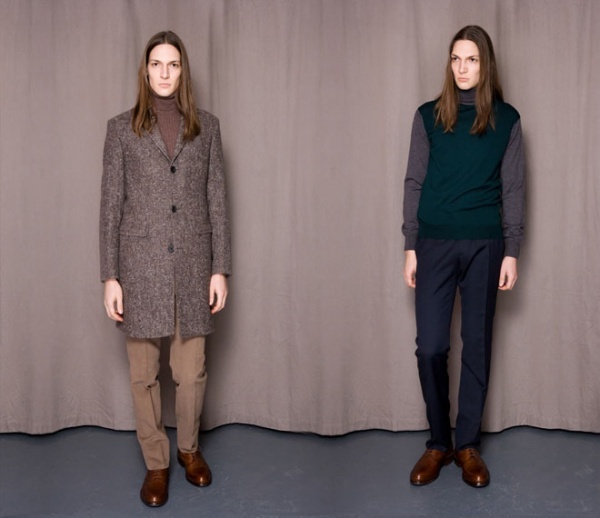 London based label, Mr. Start, bring us their latest menswear lookbook for the autumn 2012 season. The collection, with its evident architectural influences and modern aura, is compiled of a selection of sophisticated outerwear pieces, suits, shirts and neckwear accessories. This entry was posted in Blazers, Collections, Dress Shirts, Pants/Bottoms, Suits, Tops and tagged Mr Start. Bookmark the permalink.